Imagine that there is a stick and rock, and you want to push the rock. Well, you can use your hand to actualize the stick, which can then go over to the rock and move it. But, you realize that your hand isn’t moving on its own; it itself is being set into motion by other forces, such as the muscles and nerves in your arm. But your arm is being set in motion by your brain and still more muscles and nerves in the rest of your body. However, if you want to go farther, you can argue that even your brain isn’t truly the source of the ultimate actualization of our rock. There has to be some person, place, or thing that is pure actuality, and that being we know as God. This God has to be one, because he has no unrealized potential. Imagine if you have two pencils. You can distinguish one from the other based on length, or by a scratch or two. However, both pencils had the potential to be exactly the same. Just, they haven’t actualized their potentiality, or ability, to be a certain length, or have certain dents. However, if there were multiple gods, they couldn’t be distinguished, because God is complete actuality; he is pure actuality, he has no unrealized potential. Since this being is pure actuality with no unrealized potentiality, we must therefore come to the conclusion that he has all perfected attributes. He has perfect wisdom, perfect knowledge, perfect sight, perfect hearing, perfect love, perfect justice, and the like. You could try to argue against this by saying that, if he bears all attributes, then he must also be perfectly stupid, perfectly blind, perfectly deaf, and perfectly tyrannical. However, all of these things are not actually things… they’re a lack of a thing. If a room is cold, it lacks heat. If that same room is also dark, it lacks light. For instance, we could shine a darkness flashlight at something. So, stupidity is a lack of knowledge. God cannot lack anything, since that would mean he had unactualized potential. Since this being contains all perfected attributes, he cannot not be bound with matter. He is outside of space and time, as these things would make it impossible for him to have perfect attributes. No one can have perfect sight, or perfect knowledge, because their eyes and brains are quite incapable of those things. The only way for God to fully realize all his potentiality is to be a spirit. Thomas Aquinas, as did Aristotle, believed that everything has an essense that makes it that thing. For instance, a car has the essense of a car. We know a car when we see one. The same with a tree. We know a tree when we see one. Its big, strong, tall, and is sort of, treeish. William of Ockham rejected this view, it being his belief that reason is too feeble to support the Christian faith. 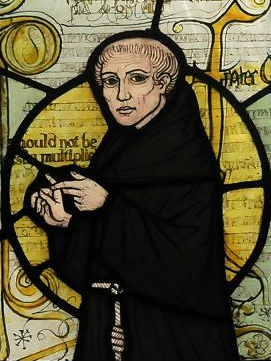 Aquinas believed that God cannot make logical contraditions. You can’t tell God to make a square circle, because that is logically impossible. You aren’t telling God to do anything. However, William of Ockham believed that if God declares something, that is good and true. So, if God said that a rectangle is a square, that rectangle is a square. If God declared that human sacrifice, for instance, is a proper religious ceremony, it would be not only true, it would be good to do so. However, Aquinas totally rejects this view. He believed that if God commands you to do something, like human sacrifice, that cannot be good because it does not benefit mankind. If God commanded you to kill thirty people a day, that would not benefit humankind or permit them to flourish. God only commands us to do what is best for us, what allows us to flourish, hence his command against murder, stealing, etcetera. But, despite such attacks, Thomas Aquinas and his belief that faith and reason can co-exist harmoniously in defense of one another lives on. We covered some of the Quinque Viae, or the Five Ways, in which Aquinas uses reason alone to come to the Christian understanding of God as is given in Scripture. We also covered a couple of William of Ockham’s objections of Thomas Aquinas’s views, and gave Aquinas’s responses to such arguments. 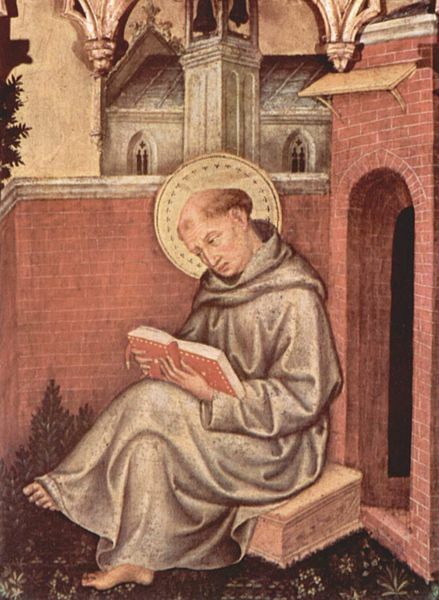 Thanks to Thomas Aquinas, one of the most brilliant of the Scholastics, we have more firmly in our grasp the ability to defend the Christian faith, through the one thing unique to mankind… reason. ← Is the Economy Benefited by War? A very good summary for someone who is not familiar with Thomas Aquinas. Way to go! God bless you!